Benghazi (Libya) (AFP) - Forces loyal to Marshal Khalifa Haftar on Monday retook a district in Libya's Benghazi from jihadists after fighting that killed nine soldiers in two days, a military source said. "We now control the district of Abu Sneib" in the southwest of the city, said a commanding officer in the army headed by Haftar, who backs the parliament in the country's east. "Our forces now completely surround the Qanfuda area" nearby, the same source said. 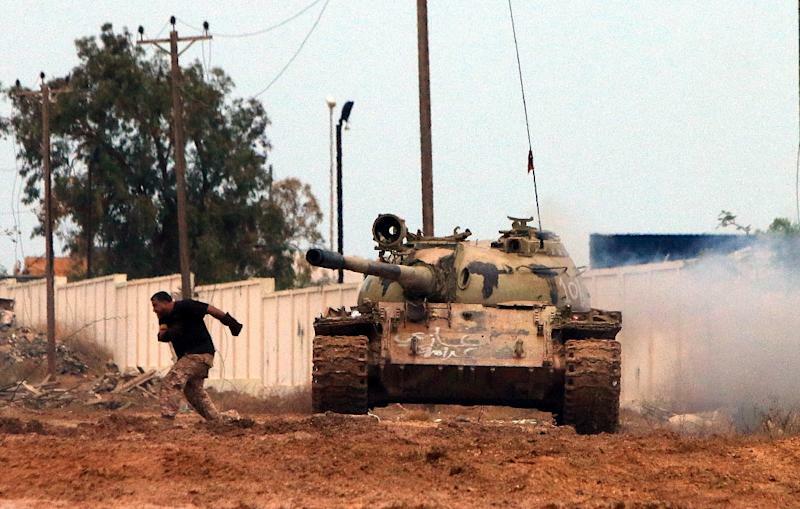 The source said 52 troops had died in fighting since January 1 in and around Benghazi. But jihadists still control the central districts of Al-Saberi and Souq al-Hout. Benghazi was the cradle of the 2011 uprising that toppled and killed dictator Moamer Kadhafi.